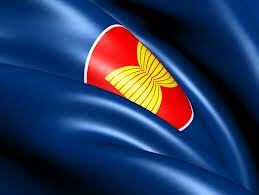 ASEAN needs to play a more significant role in regional and global affairs. ASEAN (Association of South East Asian Nations) is a group of smaller and medium-sized states that is disparate, with very different levels of development and diversity of political views. What the regional grouping tends to do well more often is speak in many voices especially on political, security and economic matters. In 2012 for instance, when China asserted its South China Sea claims, the group fumbled and failed to reach a consensus response. In his paper on A Common Platform in Global and Regional Governance, Simon Tay from the Singapore Institute of International Affairs argues that as ASEAN move towards becoming a ‘Community’ and increases its integration, the expectation that it plays more significant role in regional and global matters grow. As ASEAN moves toward greater integration and take on a central role in the region, it needs to find ways to maintain unity and have shared perspectives therefore empowered to speak in a common voice in international forums, negotiations and institutions. Simon also argues that the region needs to increase its economic linkages beyond the technical and infrastructure issues and position the group as a common market for consumers and an integrated production base. It then needs to articulate its new, competitive and integrated approach to attract foreign investment and trade. Simon also suggests that ASEAN should have a common voice on key issues at international for a such as the East Asia Summit – where the group host a wider strategic discussions which includes strategic and political actors such as the U.S. and China.